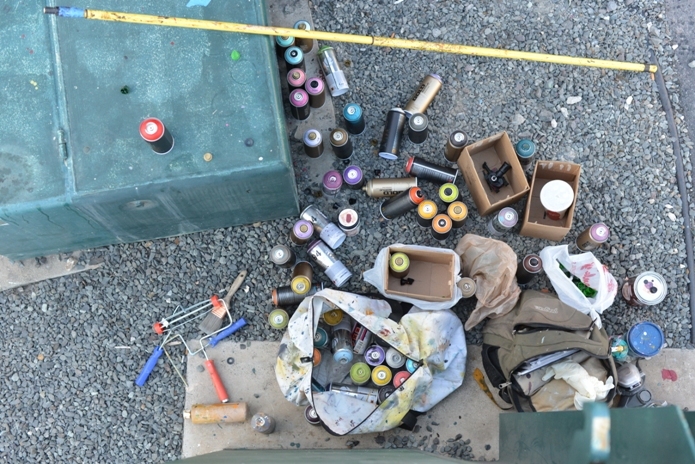 Every winter the advocates and artists of RVCA gather on the shores of Oahu to skate, surf and paint. Dubbed RVCAloha, the 2014 edition had RVCA and POW! WOW! painting a new mural at the Keolu Skatepark in Kailua, Hawaii. Battling intermittent showers and the harsh Hawaiian sun, the Dmote and Soul completed a stunning piece of art complete with volcanoes and cosmic dolphins.